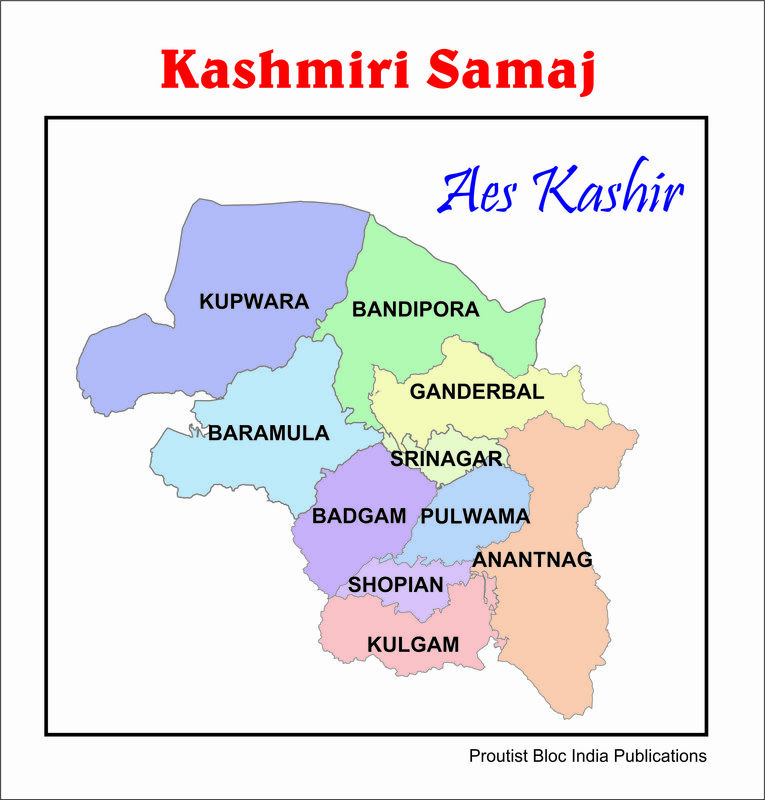 The below linked document (pdf) gives an outline of some samajas of India. It was published by the New Delhi Prout Research Institute. In spite of numerous inaccuracies as regards the detailed blocks and districts (and the fact that new districts and blocks have been created since this review was carried out), to the knower of India's languages, various cultural expressions and socio-economic potentialities the document gives an idea of the fundamental thoughts and principles that go into the formation of PROUT samajas. 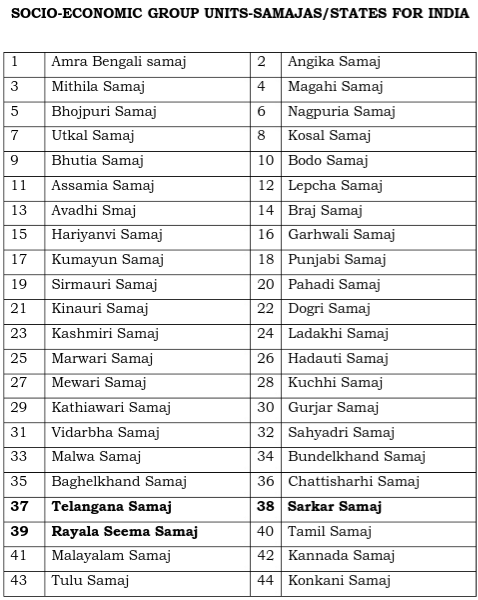 The below sketch provides an outline of 44 proposed samajas of India, names underneath.